You are leaders of your Martial Arts Club, School and you want to optimize your budget. 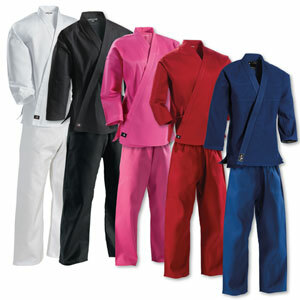 Tao Distribution offers you to anticipate your uniforms orders needed by your students for the next season. - free shipping (on orders over 150€) to Spain, Italia, United Kingdom, Switzerland, Belgium, Nederland, Deutschland and Luxembourg. - your uniforms will be delivered to you at your convenience: end of august or early september. For orders of special series , " registered design " type , design, color change, we can realize all your projects from minimum order of 100 pieces. VALID until 30 May 2017 only. Contact us now to anticipate your next 2017-2018 season, with confidence, guaranteed prices without surprises at the beginning of the new season. Your exact quotation is sent to you within 48 hours .